Nationally sanctioned bike racing returns to the Burnaby Velodrome on February 24-26, 2017, for the Western Canadian Track Championships. The event, open to Youth, Elite, and Masters riders is intended to inspire and prepare athletes; specifically young riders headed to Canadian National Championships in March. The competition is expected to attract athletes from as far east as Manitoba and as far south as California. Over the three days of competition, athletes and spectators will be treated to an array of events: some ranging from as little as three laps to as many as one-hundred laps of the 200m track. "The WCTC is a great way to bring together the western provinces to help develop our athletes, provide more competition, and also create an avenue to train higher level commissaires and provide evaluation opportunities for new coaches," explains Tara Mowat, High Performance Coordinator at Cycling BC. One of only three indoor velodromes in Canada, and celebrating its 20th anniversary this coming year, the Burnaby Velodrome plays a critical role in the development of Canada's track athletes. Track alumnus include Rio Olympics Gold medalist Tristen Chernove, as well as Bronze medalists Jasmine Glaesser, Georgia Simmerling, and Laura Brown. 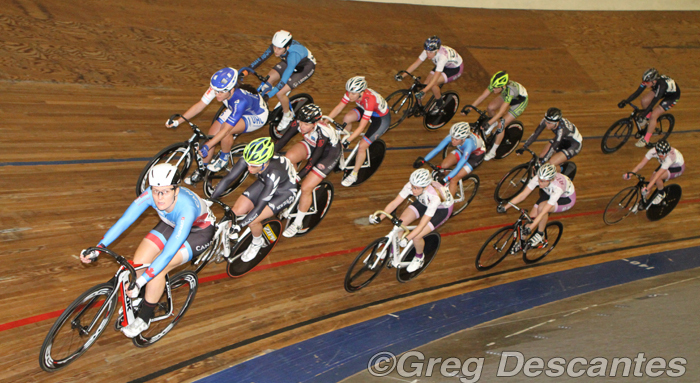 For additional information on the Western Canadian Track Championships please visit theblackline.ca/wctc/.